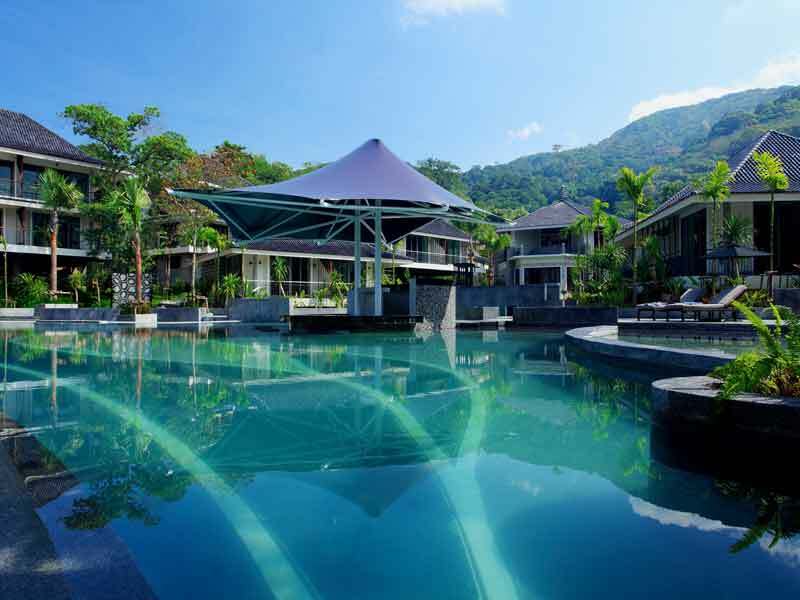 Surround yourself with cascading waterfalls and relish the beautiful Karon Beach vistas. Mandarava Resort & Spa is a true oasis in the south of Phuket—the perfect place to explore, unwind and indulge in all that lies beneath this stunning hillside retreat! 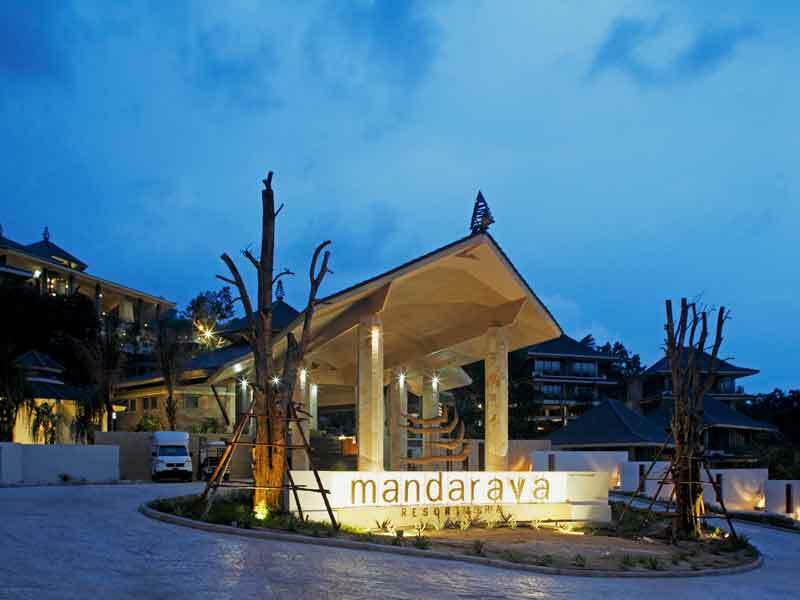 Located just 700-meters from Karon, which guests can reach by strolling the scenic path or hopping on a free shuttle, Mandarava Resort & Spa offers the perfect luxury getaway. If you somehow grow weary of silky, white sand and crystal-clear lagoons, this resort rests near many of Phuket’s entertainment hotspots and provides a range of activities on-site. Carefully and passionately designed to parade Thailand’s tropical beauty, each of the 232 rooms and villas at Mandarava Resort & Spa are exquisitely furnished and blend perfectly into the surrounding natural landscape. Pale timber panelling and contemporary slate tiles mimic the environment and the large floor-to-ceiling windows welcome sunlight. All rooms feature deep-soaking tubs, Wi-Fi and private balconies, plus guests can enjoy LCD TVs, air-conditioning and a host of other amenities to enhance your stay. Nestled in a lush, tropical hillside, this contemporary hotel also looks out toward the ocean to gift guests with diverse views, activities and shades of Thailand. 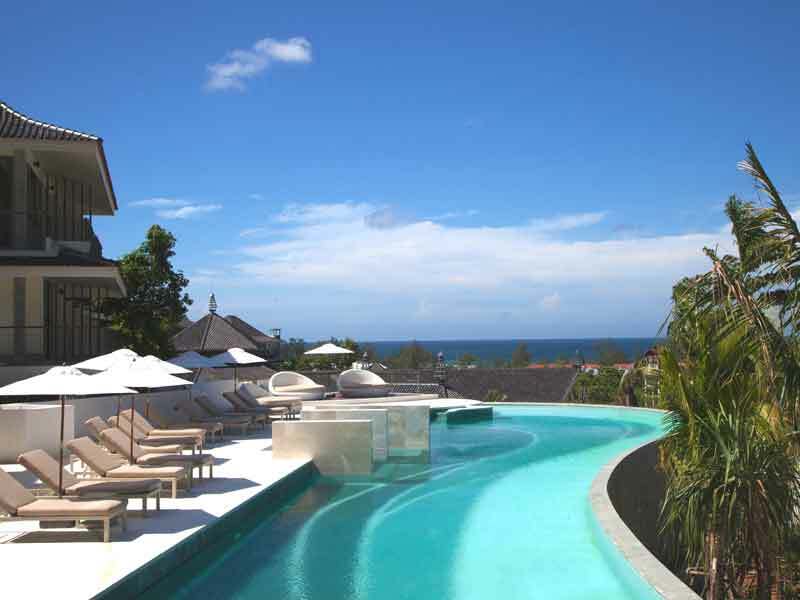 The resort boasts 5 infinity pools all with swim-up bars and some that overlook the turquoise sea. Swim, float or sunbathe on the plush lounges around the water’s edge to make the most of Thailand’s sunshine. 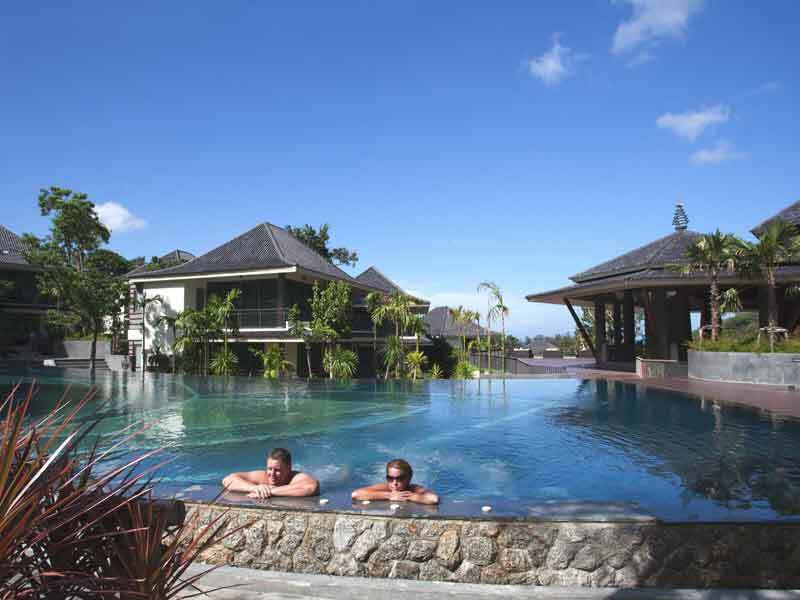 The resort also features a brilliant fitness centre, free yoga classes by the pool and an epic games room. The full-service Cheeva Spa provides a range of luxurious treatments across its 3 massage and spa rooms, steam room and outdoor jacuzzi. When you’re done being pampered, browse the gift shop or attend the on-site school to acquire new Thai skills in towel folding and local cuisine! When hunger strikes, sample fresh seafood, authentic local flavours and international dishes at Chomtalay Restaurant. Wine, cocktails, spirits, and tapas are available at the Sala Bar, so there’s a meal option for every occasion. Why go to Mandarava Resort & Spa? 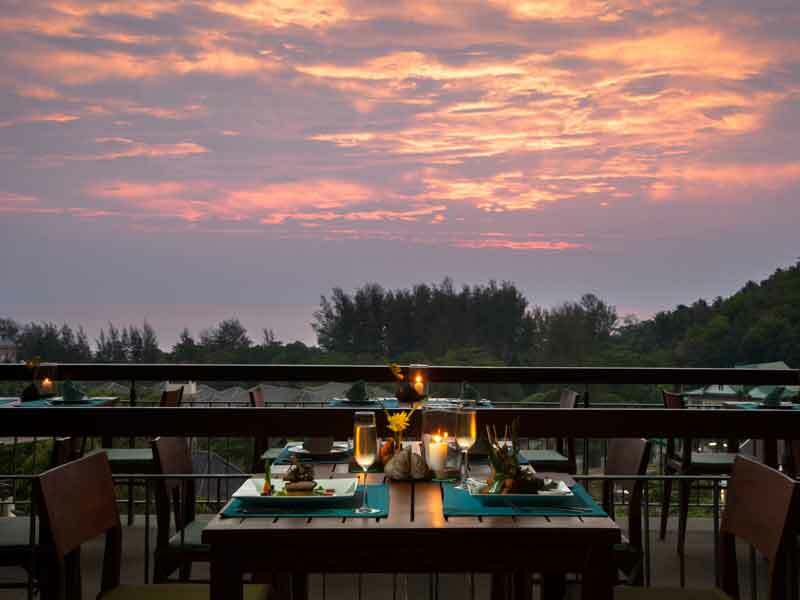 Between the elaborate Thai jungle surrounding, white-sand beaches and tranquil waters on the doorstep, popular Phuket attractions dotted nearby and the host of cultural activities offered on-site, Mandarava Resort & Spa makes for the ideal luxury holiday. Modern design and contemporary furnishings come together in the stylish Tropicana Superior Rooms. Light is invited in from the private balcony and tasteful neutral tiling and wooden panelling work to complete the tropical look. State-of-the-art entertainment systems will keep you amused as you recline on 2 large Twin beds and the high-tech touchscreen panels enable climate and lighting control for your comfort. The bathrooms are private and well-equipped. Marble finishes, rainfall showers and Jacuzzi soaking tubs make this 2-person retreat entirely luxurious! Set on the top floor of a 2-story villa, these beautifully appointed 2-person rooms offer stunning views of the resort grounds or the sea. Relax on your private, furnished balcony or enjoy the modern entertainment facilities indoors. The rooms also feature Twin bedding configurations, high-speed Wi-Fi and a flat screen LCD TV. 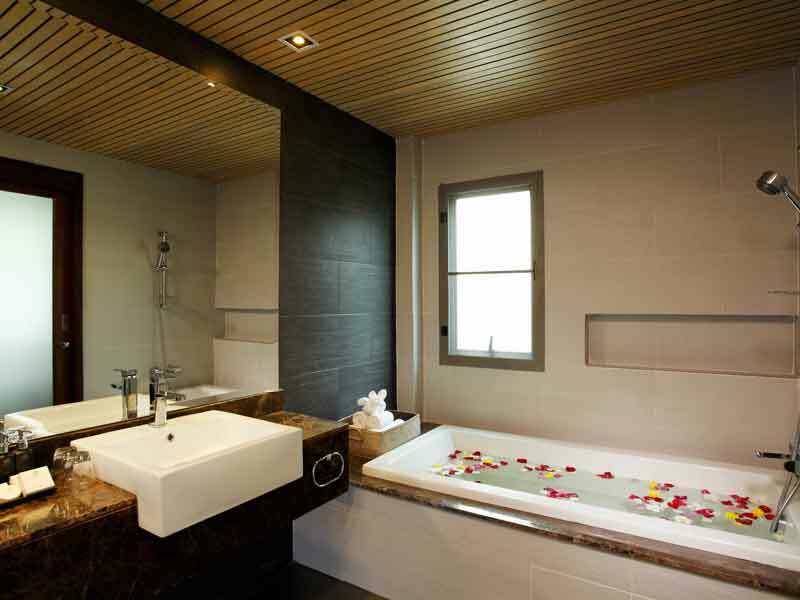 In your beautifully marbled bathroom, soak your stress away in the grand bathtub as rejuvenating, tropical breezes flow through the space with the assistance of the high, wooden-panelled ceilings. Nestled into natural tropical surroundings, these single-story rooms are spacious and filled with light. High ceilings, climate control facilities and Twin bedding ensure these deluxe rooms comfortably accommodate 2 guests. The marbled bathroom is spacious and sleek, with a separate rain shower. Horizon Deluxe Rooms feature free Wi-Fi, state-of-the-art entertainment amenities and central access to the main pool, Cheeva Spa and onsite restaurant! 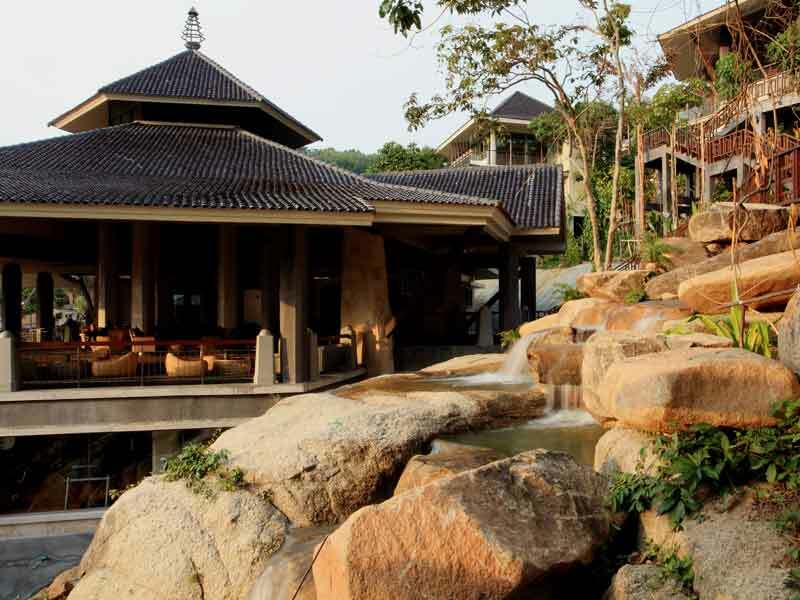 The Mandarava Resort & Spa is submerged on Phuket’s south-west coast at the stunning Karon Beach. Phuket International Airport is approximately 45-kilometers away—just over an hour’s travel by car, and the region’s popular markets, temples and other main attractions are all situated just 2-kilometers away. Just a short, scenic stroll or quick shuttle ride away, enjoy the peaceful Karon Beach during your stay at Mandarava Resort & Spa. To experience vibrant Thai culture, visit the Karon Temple, Dino Park mini golf course and the Kata Porpeang Market, all located only a few kilometres away. For more sea action, lively Patong Beach is just 11-minutes away. Around the resort, lounge by any of the infinity pools with a cocktail in-hand, laze in the day spa for some much-needed rejuvenation, indulge your tastebuds at Chomtalay Restaurant or immerse yourself in Thai culture at cooking school. At Mandarava Resort & Spa, the adventures are endless. What a fabulous place to kick back! The rooms are beautifully decorated, cleaned spotless and located in tropical surroundings. The staff are exceptional and second-to-none. Still in a central location, the retreat is tucked far enough away from the hustle and bustle to make it the ideal place to relax. 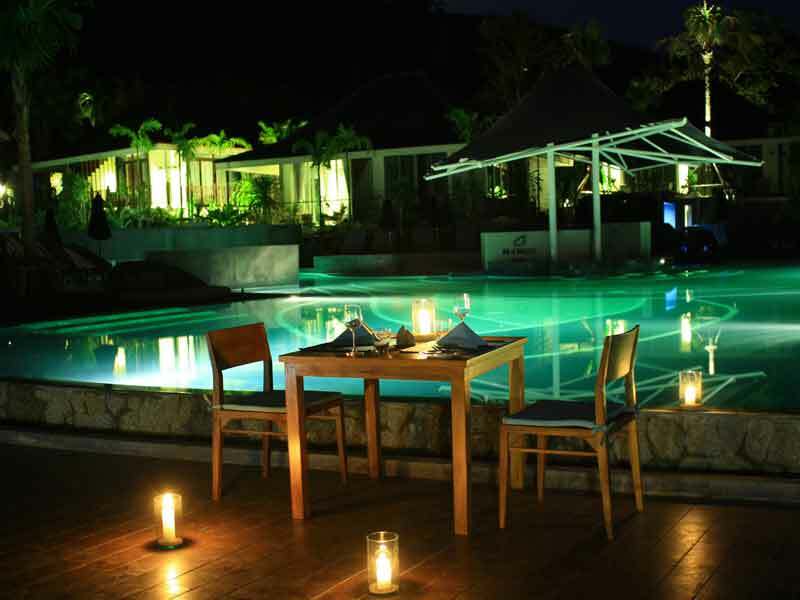 The restaurant is in a lovely location and there is an abundance of choices. We had dinner there most nights – one was a buffet night, which was outstanding. Our stay was excellent all-round and we have already booked our next stay!